WASHINGTON (KTRK) -- Congress is defending your right to Yelp. Legislation in Congress would ensure that customers who want to post negative reviews on websites like Yelp or TripAdvisor can do so without legal repercussions. That's in response to some businesses that have made customers sign non-disparagement clauses and then sued if a bad review showed up. Supporters say the legislation is needed to ensure freedom of speech in a growing online economy. "A lot of Americans, particularly in my generation, use those reviews," says 35-year-old Rep. Joe Kennedy, D-Mass. "You look at good reviews and you look at bad reviews and both of those are very important." In one case, a Dallas couple was sued by a pet-sitting company for up to $1 million after giving the company a one-star review on Yelp and complaining that their fish had been overfed. The case was dismissed last month. The bipartisan legislation, which the House passed last week, was sponsored by Kennedy, D-Mass., and Republican Rep. Leonard Lance of New Jersey. Kennedy, who represents Needham, Mass.-based TripAdvisor, says fair reviews are important to build the strength of the so-called "sharing economy" that allows consumers to exchange products, services and ideas. Laurent Crenshaw, director of Public Policy for San Francisco-based Yelp, says the company has been trying to advocate for better protection for its users, including efforts to avert negative reviews with non-disparagement clauses. "Unfortunately, some have decided to try to intimidate and silence negative speech," says Crenshaw. He says the bill "will give consumers all across the country clarity that they are protected from these types of clauses." A Senate version of the legislation passed last year, and it is similar but not identical to the House bill, so the two will have to be reconciled before it heads to the president's desk. Both bills would ban contracts for goods or services to businesses that don't allow negative or truthful reviews and give the Federal Trade Commission enforcement over the issue. South Dakota Sen. John Thune, the Republican chairman of the Senate Commerce Committee, said he hopes that they can move soon on the bill. "We're close to ending unfair gag clauses that can intimidate consumers away from telling the truth about their purchase experiences," Thune said. Ellen Schrantz of the Internet Association, a trade group that represents companies like Yelp, TripAdvisor and Amazon, says it's impossible to know how many people have been penalized by businesses for negative reviews after unknowingly signing contracts that banned them. She says reviews are necessary so average businesses can connect and grow. "Without protecting that you're not only looking at free speech issues, but massive economic issues," she said. 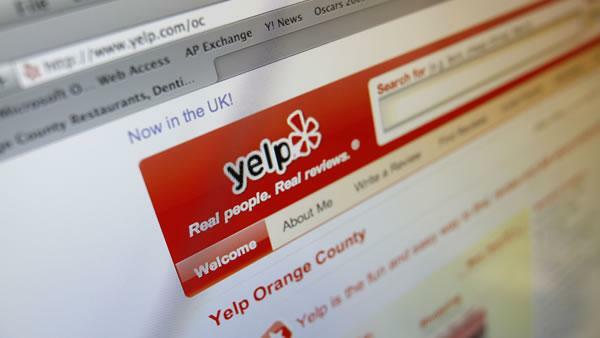 In a related matter in California, Yelp is asking the state Supreme Court to overturn a lower court's ruling that asked the company to remove some negative reviews of a law firm, saying it could set a precedent for the removal of other negative reviews and leave consumers with a skewed assessment of restaurants and other businesses. The firm has said the reviews are defamatory. While the non-disparagement clauses are still legal, Yelp is trying to let users know about them. The company is now tagging some companies' Yelp pages with a warning: "This business may be trying to abuse the legal system in an effort to stifle free speech, including issuing questionable legal threats against reviewers. As a reminder, reviewers who share their experiences have a First Amendment right to express their opinions on Yelp."